I’ve written about it before and I’m doing it again today. 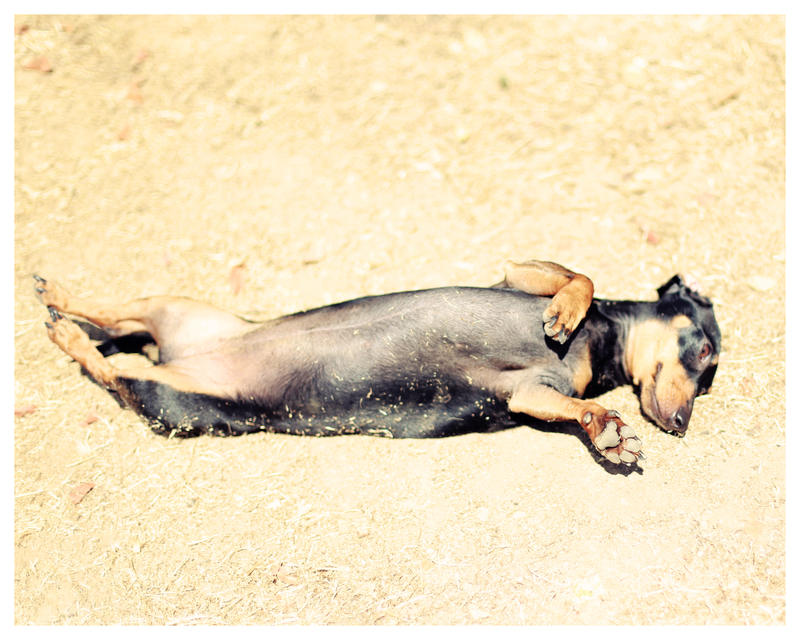 Not only does Emily enjoy sunbathing – like so many dachshunds do, but she loves to roll in the dirt and dust. Perhaps it’s not as apparent on my red boy, but against that shiny black and tan coat, the earth and filth just pops. As long as she is having fun, I’ll continue to wipe her off and clean her appropriately and mute my frustration. How about yours!? 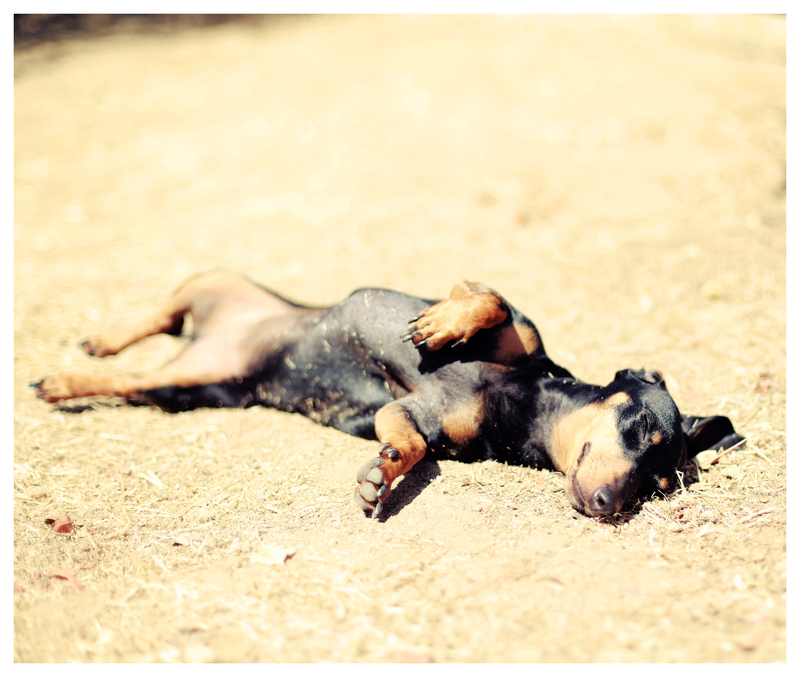 Does your dachshund insist on bringing in as much of the yard as possible like Emily?! Look how happy she looks! LOL My red does that too, although you’re right, you can’t see it as much on them! I call his “wiggle worm” because he gets in the grass and just goes crazy. I love it. It’s worth the wiping down! Chickens do this and it is called a dust bath! But Emily looks better than any chicken!! Oh Yeah Johnny !!! The dirtier the better!! All three of ours just roll in the fresh cut grass (Which gets embedding in our long haired girl and they LOVE to roll in the wet mud (Which is always joyous when they pop through the dog door into my kitchen!!!) They are happy as can be when they are filthy!!! That’s so funny. I have three doxies, long hair, short, and wire. When I bathe them my Black and Tan short hair is always the dirtiest . Emily always looks so shinny and clean. She’s a true Doxie. my Dori is so delicate yet she loves to root around in muck. Her favorite thing to do is root around in swamps! And get dirty & wet.